they will receive emails which contain random page names such as wuwusoj2818.aspx. i read about this problem and seems when creating modern pages, sharepoint will assign it a random name and at that time a user notification will be sent, before even saving the page or give it a title/name. now i find a workaround to fix this issue, where i want to delete all the user notifications + write a workflow which will send am email to the users , instead of relying on the user notifications. This may not be possible. 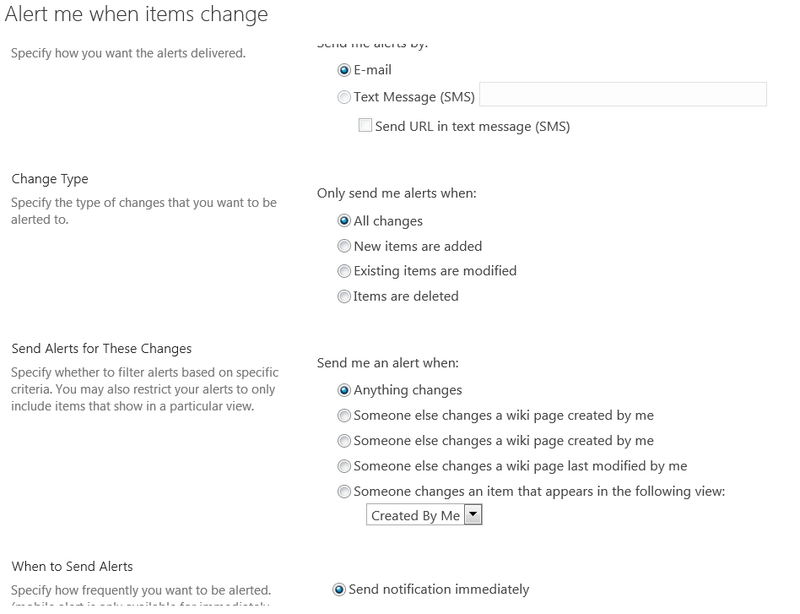 By default, all lists and libraries have their default "Alert me" and "Manage my alerts" section. Even if you somehow disable/hide by CSS in the SitePages library, users would still be able to create them by navigating to "Manage my alerts" page. So I wouldn't spend my time in implementing CSS to close all the loops for creating user notifications, rather advise the users that the experience of user notification has certain limitations. This should be part of your communication strategy. Not the answer you're looking for? Browse other questions tagged sharepoint-online email modern-pages notifications or ask your own question.